New Garden Exhibit has been installed in the band room. Let all of our guests know. The are volunteer artists who have come out and painted the island’s historic garden flowers. SIR Report. Courtney is entering interpretive program data. Don’t forget to write down your programs. A lot of the special programs are missing including the alumni programs, special VIP tours. Wendy to add those in. I am starting work now with Alcatraz Cruises to install a series of outdoor speakers. This is to improve the quality of sound of interpretive programs and reduce the stress to presenters. I am checking to make sure that this is where we really want the speakers. Please give me feedback if any of the following locations are either not needed or another location is needed more. Bridge Nominations: Deadline is coming up Sept 13! Marcus, Nancy, John, and Carla are all working on nominations. The Bureau of Prisons: Dublin has offered us a tour. Dublin is a low security facility housing female offenders. The institution also has an adjacent administrative detention facility housing adult males on holdover or pre-trial status, and a minimum security satellite camp housing adult female offenders. Dublin is located 20 miles southeast of Oakland on the Camp Parks Army Reserve Forces Training Area (RFTA) Military Base. This is where the BOP Women workers who you have seen on the island come from. Carla to organize a tour. Question of the day: How late were balls and chains used on the island? While AZ was a federal pen (1934-63), there were no balls and chains ever used on the island. They were, however, used during the military (mid 1860s to 1934) prison period up to the 1870's. We actually know very little from the military period. All records from that period were lost. Alcatraz Engineers will start carrying PC radios. So if we need help with bathroom cleanup or any other custodial service, we can call them on the radio “AC Engineer”. Dock announcements. The tram staffing is back up. Please announce that the mini tram is available upon request to take people to the west side or to the industries. How many people do we need on OT for Living History Day? John, Cortney. Marcus? Tori’s and Sarah’s schedule will be “wacky” in the next month. On any given day we may not have NR staff on the island. Several areas closed to the birds are open again including: Model Industries Staging, area below the Sally Port. Behind the scenes tours. There have been several cases when behind the scenes tours have gone past 6 pm complicating things for the sweep. We ask that you complete behind the scene tours by 6 pm to facilitate closing. Carla and Tyler continue to make progress on dock evaluations. Cortney to help with several too. Photo of our recent Ranger Training: How to Point 101. SPUG/Ambulance Key: Because of misplaced keys, the SPUG truck keys will from now on be located n the window mounted lock box of the vehicle. Ask a ranger for the lockbox combination. Ambulance. The tarp keeps flying off. If you see the gurney uncovered, please put it back on to keep it clean. Nancy will look into getting a new tarp. 8/22/13 My wife and I were visiting family in California and my wife arranged for us to take the Alcatraz Tour. As a retired Baltimore City Police Officer , I was very excited to boat out and see the history. I was thoroughly impressed. The tour was excellent! If we are back in the area we will catch the tour again! 8/29/13 Facilitated Dialogue Training: Carla , Wendy, Benny, Marcus. Lori only ranger on the island. Looking for volunteers to help on this day. 9/4/13 SPUG Training 10-11. George Durgerian coming to the island. 9/5/13 VIP tix set up for Whiskeytown Donors: Mr. and Mrs. Cash + 1. No VIP tour needed. 9/27/13 Outreach Ranger Truck at Hyatt. Shelagh, Tori. Carla. 9/28/13 Friends of Civil War – Living History Day. 10/1/13 RESCHEDULED Garden Conservancy Exhibit event. Need 2 Rangers for evening program 6-9 pm. 10/14/13 WJE will be doing another annual monitoring of the rate of deterioration on the Cell house walls. 10/23/13 Hosting East Bay Regional Parks Volunteer Coordinators. Lead is Lori Brosnan. Shelagh and Tori?? 10/26/13 Alcatraz 40th Anniversary Event – Former Rangers on the island to reminisce. John Cantwell/John Martini. 11/1/13 University of San Francisco Eco-Tourism Students with Dr. Pavlίna Látková, Ph.D. Lead: Marcus. 11/2/13 Alcatraz Junior Ranger Day. 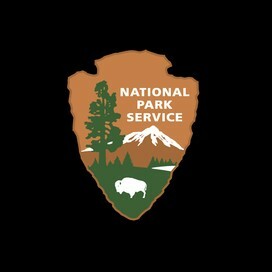 Lead: Ranger Kelly. 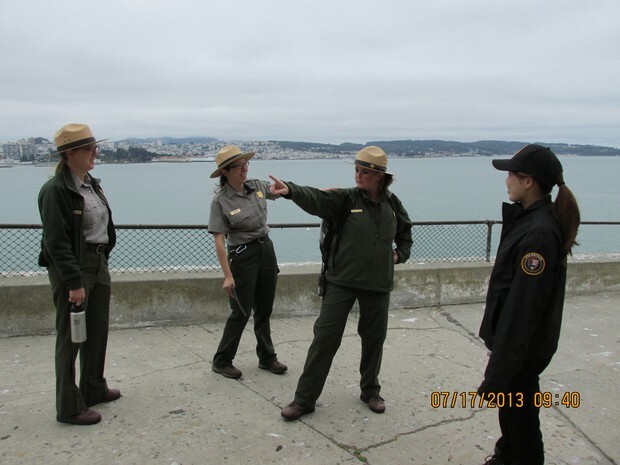 11/9/13 Alcatraz Junior Ranger Day. Lead: Ranger Kelly. - How do we talk about Native Americans and the occupation? - How do we make our behind the scenes tours more consistent? - Methods of working with youth. - How do we reach out to underserved communities? - What are good ways of using humor to address sensitive or controversial topics? 12/11 or 1/15 All Interp Holiday Party. 2/2014 Health and Safety Week. 3/28-29/14 Bio-Blitz. All hands on deck to help out throughout the park. Fall 2015 Proposed: We Players "Hamlet". 10/14 – 4/15 Proposed International exhibit. Various locations around the island. Date TBD California College of the Arts Graduate Seminar. Artists on island at various time. Exhibits at various locations at end of Graduate Seminar. Lead: Patrick Gillespie. Closures (Updated 8/28/13): Off limits areas include: Cell House Roof, Citadel, QM Lower Level, Bldg 64. Upper floors, area past cable by power house. All Bird Closure Areas including Agave trail, parade ground. Model Industries ground and below Sally Port now open.